It’s been a little over the months since we planned the bananas and they seem to love it here. We had placed one banana root in each hole. The banana da terra (cooking bananas) all sprouted without exception, in fact some holes have two or three that sprouted from the same seedling. A little less successful were the banana roxas (purple banana originally from the Amazon) where five out of eight sprouted. 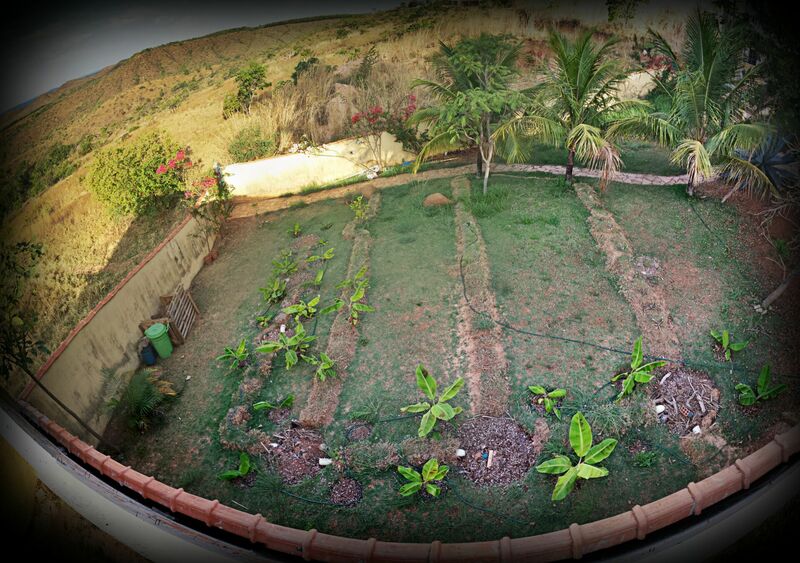 Here is the previous areal picture of the making and everything freshly planted.